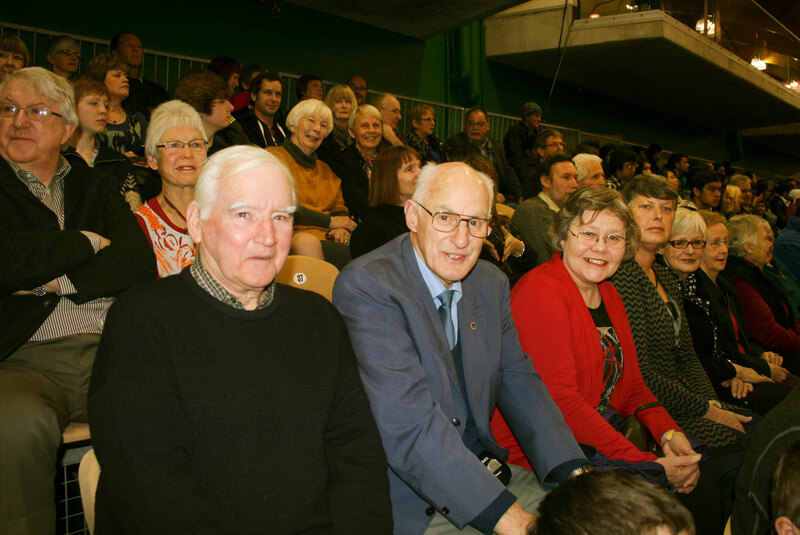 Imagination is key to growth in the diocese and to people becoming what God wants us to be, Bishop Charles Drennan told the more than 2,000 people gathered for a Year of Faith Mass in Palmerston North’s Pascal St Stadium on 4 August. 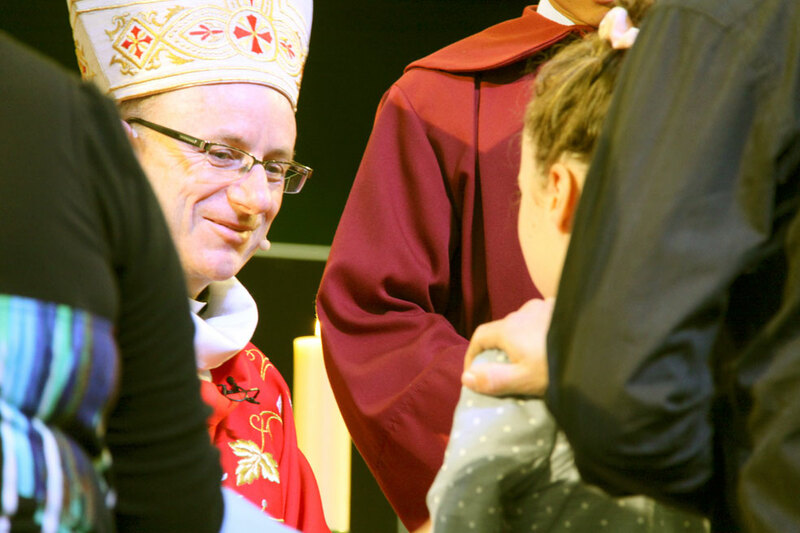 Visiting in the diocese, Bishop Charles said he met people who dared ‘to imagine new outcomes, to embrace new initiatives, to imagine an even deeper faith, shaping every aspect of their person, their life’. Turning to the 50 candidates for Confirmation, he read a letter from one explaining their wish for the sacrament. ‘…to announce myself in front of my Catholic Community is something I am proud to do for it is part of my hikoi tapu – sacred journey – to God. I have always enjoyed seeing and participating in the Eucharist because of the unity I sense when everyone partakes of the body and blood of Hehu Karaiti. With his own body and blood he forgives me and draws me closer to himself, and to his teachings. I am in my final year at College. I am now ready. It is fitting that I be confirmed so that I establish myself as an adult in my religion of Catholicism katorikatanga. 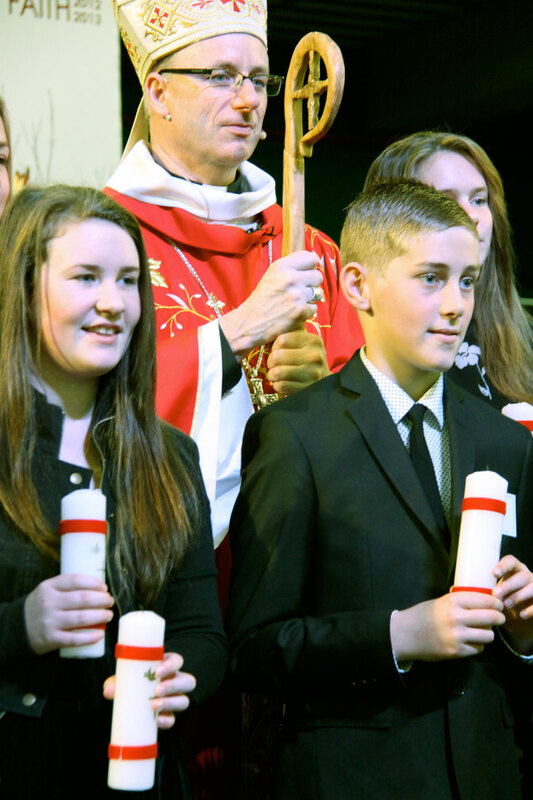 ‘Confirmation candidates, today the Holy Spirit comes to you bearing seven extraordinary gifts that will shape you for the rest of your life: wisdom, understanding, right judgement, courage, knowledge, reverence, and awe. These gifts are not skills or talents or achievements. They are extraordinary because they are nothing less than God’s own life, God’s way of being, placed by the Holy Spirit in you. ‘And those seven divine gifts once opened and lived, grow within us into what we call the 12 fruits of the Holy Spirit: charity, joy, peace, patience, kindness, goodness, generosity, gentleness, faithfulness, modesty, self-control and chastity. Shaped by these gifts and fruits you will become the true you, the real you, the you of your soaring imagination, your highest aspirations, your greatest dreams. 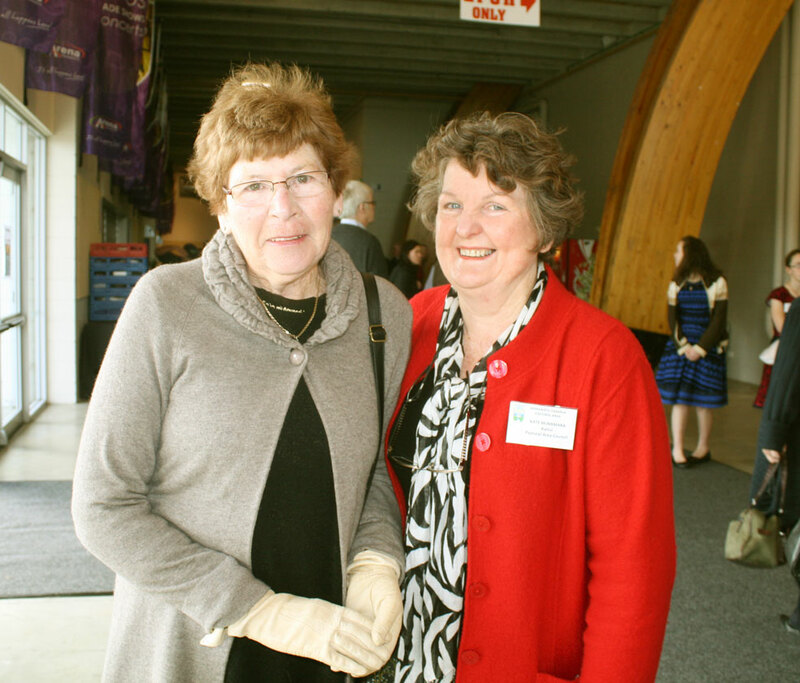 ‘With your sponsors and whanau we all say thank you for your courage to step up and embrace our shared life of faith.